Since we realize how important this basic part of kitchen décor truly is, we want to give you the trends in stone materials and finishes that will be here in 2018. Below we outline these countertop trends for 2018 and our hope is to give you ideas and inspiration for your dream kitchen remodel. 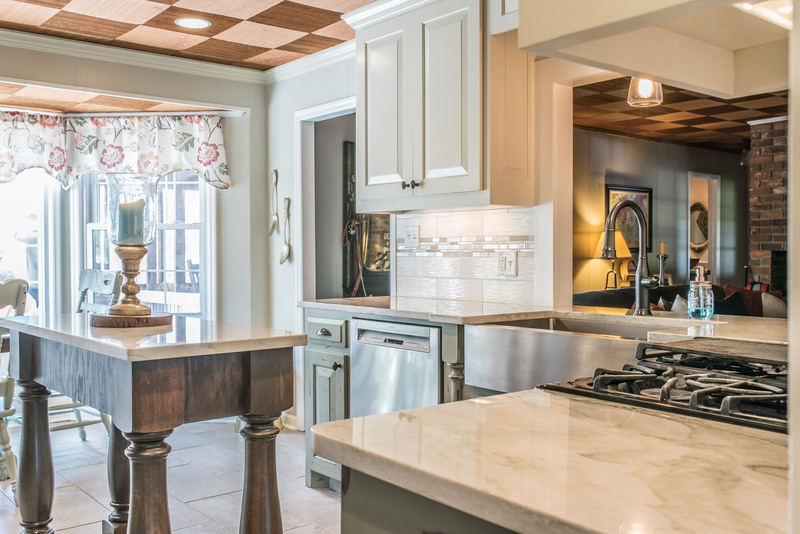 Spoiler Alert: Quartz countertops are still the hottest trend for kitchen countertops! 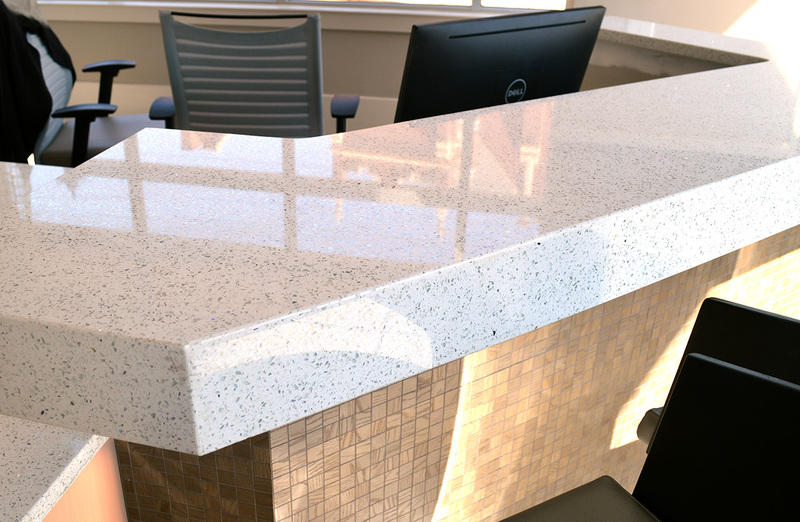 Quartz gained popularity as the high-end competition or alternative to granite. 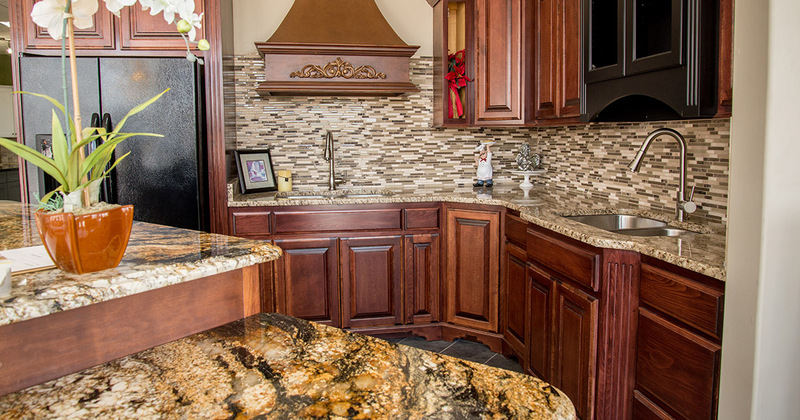 Granite has been the prominent selection in the countertop industry for many years. It is known for its durability, strength and its natural unique beauty. As granite is a natural stone made by mother nature, it is porous. This can lead to spills of water, oils, or any other liquids to lead to stains on the surface. These spills if not cleaned can lead to growth of bacteria leaving your kitchen countertops unsanitary. With that being said we offer a sealer that is warrantied for 25 years! Learn more about our 25 year sealer. One of the great benefits of Quartz countertops is, Quartz is a non-porous surface. From the factory Quartz slabs are hermetically sealed within the manufacturing process. This makes Quartz resitant to the harmful accidents and spills in the kitchen. This also makes Quartz the most hygenic material for countertops. Quartz is not going to leave its top spot for the choice homeowners choose for their new countertops. 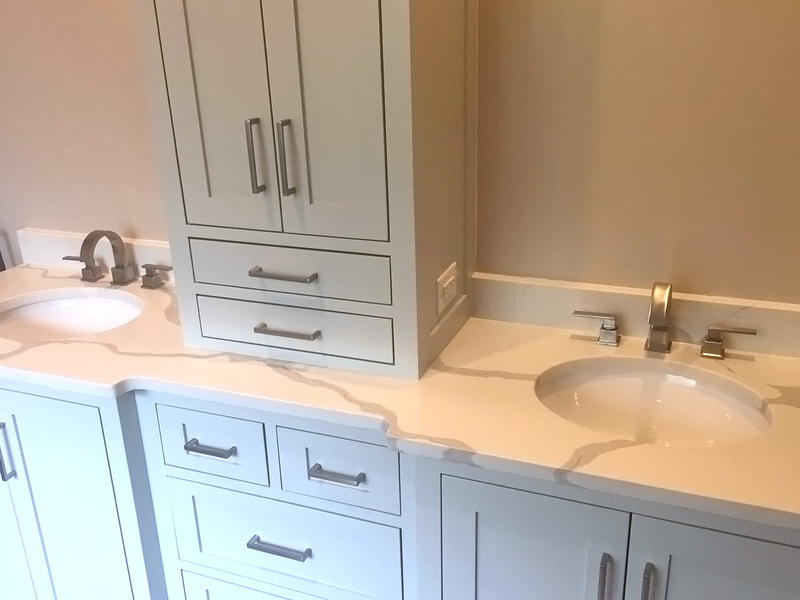 Quartz is offered in many colors, patterns and finishes that are visually similar to natural stone. 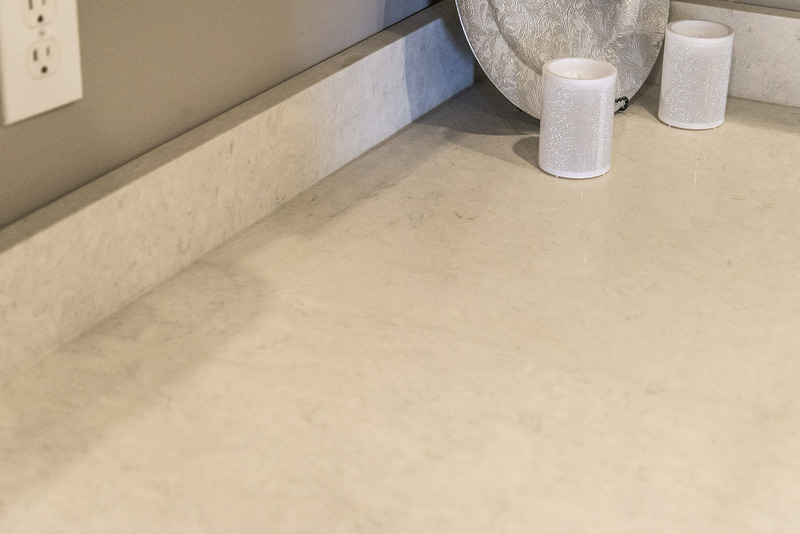 As technology continues to improve and evolve, we will continually see Quartz improve to a state of mimicking natural stone traits and looks. The days of standard all-over consistent patterns in countertops are over. Homeowners are not looking for simple mundane patterns, rather they are seeking out stones that are not of the cookie cutter genre. 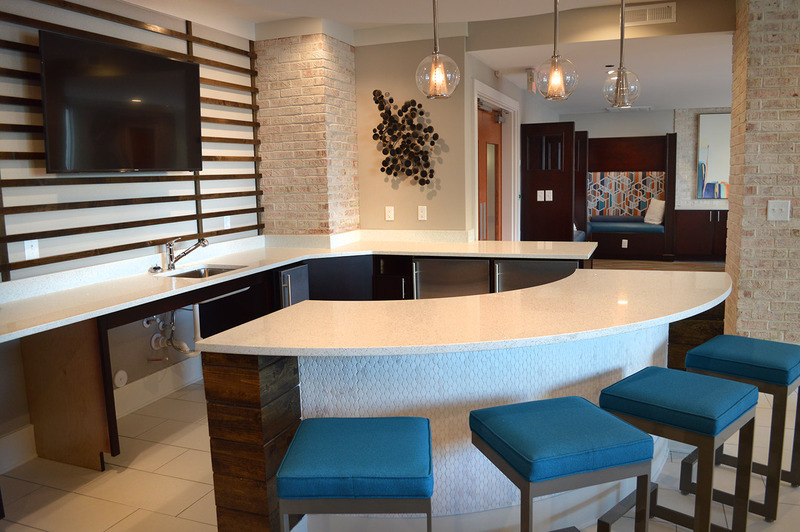 Natural stone qualities are becoming the popular design to have on countertops. From veining, patterns and texture that only natural stone can give. These characteristics make the stones as unique as the homeowner. If you are looking for a more realistic look and feel skip the polished stone and look at the "Leathered" slabs. These slabs have a very real and natural feel to them, leaving the refined look behind and adding that natural and rustic vibe to your kitchen. These variations that are offered now not only make your kitchen fit your style perfectly but also makes your kitchen like no other. These varied finishes allow for interesting pairings with other visuals in the kitchen, such as, flooring, walls, cabinets and backsplashes. Add that stunning backdrop to the activities in your kitchen! Soft neutral tones such as grays and whites are the common desired colors going into and through 2018. As the flashy colors fade into history the trend is light and airy neutral colors blending into the room. Since homeowners are swinging for the neutral tones and highlighting with other tones but remaining loyal to overall neutral themes. Since kitchen styles are shifting to neutral tones and shifting to much more open and airy areas, modern colors need to be applied to these modern layouts. Large windows and skylights are feeding an abundance of natural light into these clean modern sleek kitchens truly creating a "magazine-esque" flow and vibe. Taking the place of the standard matching backsplash are tile backsplashes. 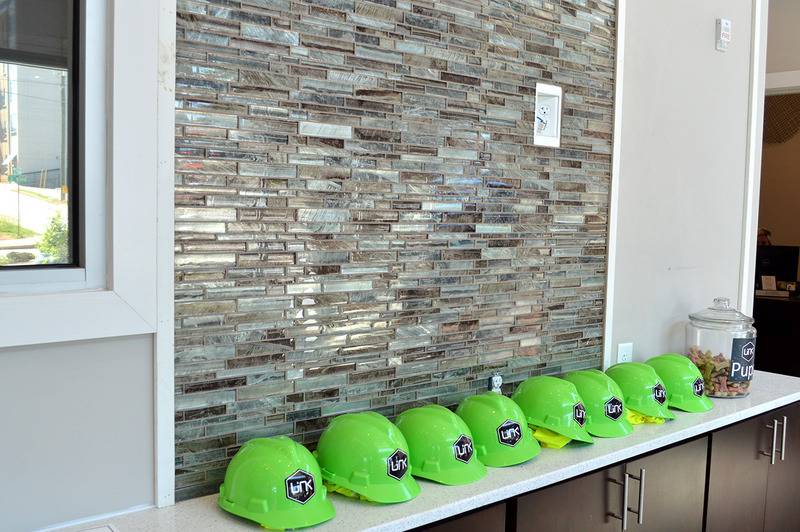 The norm has been a 4" tall backsplash made for the material chosen for the countertops. 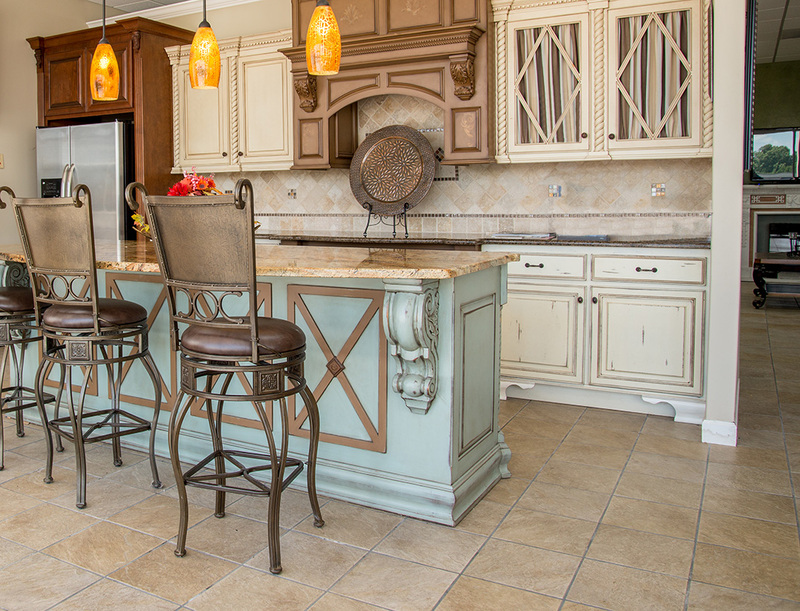 Homeowners are now using their kitchen backsplashes to inject some style and flare. Since there are many styles and custom combinations that backsplashes are now even a place to add an artistic contrast to any kitchen. Some people are opting for a much simpler tile backsplash, th humble Subway Tile. This tile is a classic yet modern tile that with its clean lines will always be a timeless staple. 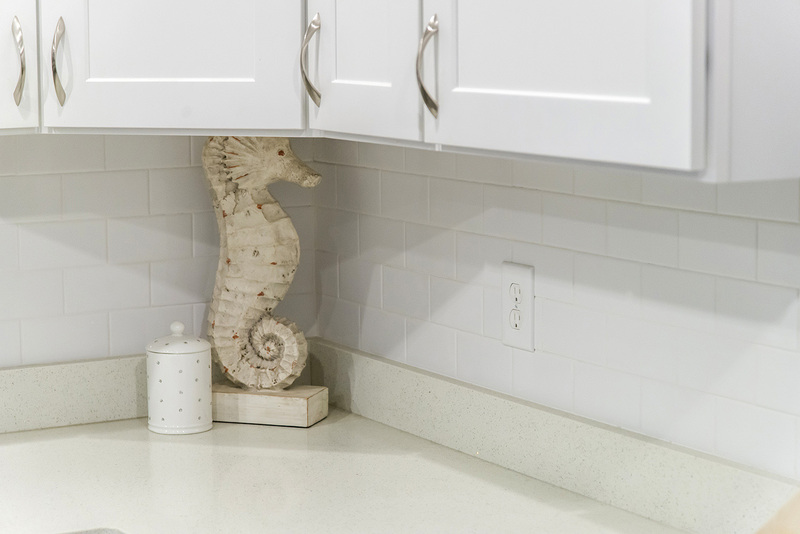 At the end of the day the tile backsplash and the kitchen countertop will always be harmonious partners and can be used to highlight one another. Concluding on our 2018 trends we see some similar trends continuing from 2017. The Quartz kitchen countertops trend only grows more by each passing day. Also, we will continue to see the trend of neutral colors being embraced more and more. The modern trend is a great one as it models the timeless fads that never die out. Custom backsplashes will continue to overtake the former industry standard of a 4" tall matching stone backsplash. As the year unfolds we will constantly put new articles on trending industry news, tips and countertop care information.